During a long distance moving, many difficulties arise related to packing and transportation of furniture, household appliances, dishes, clothes, books, and so on. This takes a lot of effort and time. 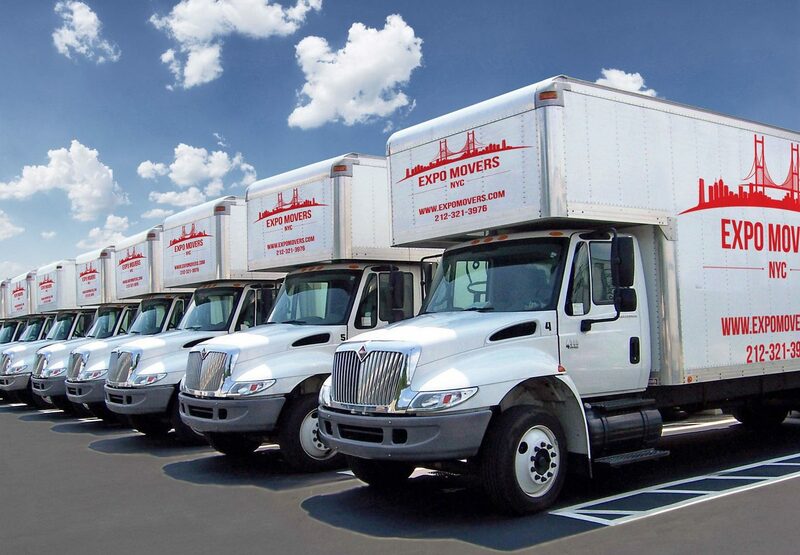 With Expo Movers, transportation of your household items will be easy and take as little of your time as possible. Our long distance movers will quickly and efficiently organize your relocation to a new apartment. Moreover, this won’t require significant financial investments from you. The reason for this is the fact that the apartment move with us is not only quick and convenient but also profitable. You will be pleasantly surprised by our prices and the quality of services. Compliance with standards of moving. This means the use of packing materials that will ensure safe transportation and storage of your things. Collaboration with the terms of the move. It is very important that your things are delivered at the appointed time. Cooperation with one of the best moving companies in New York. This way you do not have to worry about anything related to your move and can be sure that all your belongings will arrive safely and intact. When looking for long distance moving companies in NYC make sure that it has transparent pricing. This will protect you from sudden price increases during transportation. Our specialists tell you in advance how the cost of services is calculated and its flat rate. We are always ready to offer you advice and tips on how to make your move cost-effective. We guarantee that you will get affordable relocation services of the highest possible quality. When moving long-distance, it is important to rely on a well-known company with positive reviews. This will protect you from lost cargo or problems with insurance. Disassembly/assembly of furniture. If you need to transport sofas, cabinets, and other large furniture, they will have to be disassembled into parts. Our specialists will be able to help you disassemble all your furniture and upon arrival to your new home, they will assemble it and place it where it belongs. Packing/unpacking. Once you determine what things you are going to move with you, it is time to pack everything. We will provide you with all the necessary packing materials (cardboard boxes, scotch tape, bubble wrap, packing film, bags, etc.). Storage facilities. If you have too many things, you can rent a storage facility where you can keep your belongings for as long or as short as you like. Are you looking for long distance movers in NYC? We’ll be happy to help you with this task and transport your furniture and household appliances. We are ready to offer you a comprehensive and affordable moving service in New York City. We will provide you with the vehicle of necessary dimensions. It will always have the right tonnage, which will ensure the safe transportation of all your belongings. Our vehicle fleet includes specially equipped trucks suitable for a long-distance move. If you want to move quickly without causing any damage to your property contact the professionals who work at Expo Movers. Our managers will consult you on our rates, calculate, and offer the best solution. To ensure that the move does not turn into a catastrophe, it is best to contact our company. We specialize in the organization of long-distance relocations for the most affordable prices. A lot of positive reviews about our work show that only professionals work in our team. You order a moving service. Our specialist visits your site to conduct a free assessment of your move. The rates will be based on the amount and type of things you need to relocate. We provide you with instant moving quotes so you know right from the beginning the cost of the move. You determine the additional services you want to include. This may include packing, disassembly/assembly of furniture and appliances, storage, etc. After this, the final cost of the move is calculated. If you approve the cost of moving, we conclude a contract with you, which fixes the final cost of moving, stages of work, and the timing. At the appointed time, a team of our specialists comes to your address to start the moving process. Our movers will dismantle furniture and household appliances, pack your things in high-quality packing materials, and load the packed items in the truck and containers specially designed for cargo transportation. Upon arrival, we will unload and unpack your things. We can also assemble your furniture and place it where it belongs. After that, you inspect your property, make sure that everything is intact, and only then, the service is considered to be successfully completed. If you are looking for a moving company in your area, you can be sure that we will make every effort to ensure your long-distance move goes easy, smoothly, and without problems.